Tanzania Petroleum Development Corporation (TPDC) and Dangote Industries Tanzania have sealed a 20-year deal for supply of cost effective natural gas to generate electricity at Dangote's cement plant in Mtwara The new deal raises hopes for increased production and eventually reduced prices for cement in the domestic market. The good news comes in the wake of reports that the country is facing an acute shortage of the building material, compelling the government to ban exportation of the commodity pending fulfillment of domestic market demand. Through the deal, the factory will produce up to 35 megawatts of electricity from natural gas and later increase to 45MW, a move that will enable it to increase its production capacity from 2,000 to 6,000 tonnes per day and reduce production cost. Speaking at the signing of the deal, TPDC acting Managing Director Engineer Kapuulya Musomba said Dangote Cement is among seven factories which were lined-up for connection to power supply during the 2018/2019 fiscal year. Dangote Industries Chief Executive Officer (CEO) Jagat Rathee said the company has been using an average of 106,000 litres of diesel daily to produce just between 2,000 and 2,500 tonnes of cement. "High production costs due to reliance on electricity generated from diesel-fired turbines is the major challenge facing the plant," said Mr Rathee. The three million tonne capacity factory in Mtwara, over 400 kilometres from Dar es Salaam, was commissioned in 2015 and is so far the largest cement plant in the country, boasting of about 500 million tonnes of limestone reserves, which can meet the demand of the plant for the next 149 years. And, since major installations for supplying natural gas to the plant are being finalised, he was optimistic that the factory will start using the new source of energy in the next 30 to 45 days, pledging that natural gas will make prices of cement affordable. According to Engineer Musomba, Dangote becomes the 42nd factory to use natural gas for production, with the plants using only 15 million cubic feet (mcf) of the natural gas out of the country's proven reserves of over 57 trillion cubic feet (tcf). In the first phase of the 20-year deal, TPDC will supply eight million cubic feet to Dangote which will be increased in the second phase to 20 million cubic feet, Engineer Musomba explained, noting that the Energy and Water Regulatory Authority (EWURA) will set tariffs for the gas to be sold. Tanzania started using gas for generation of power in the year 2004 and two years later in 2006 started connecting the source of energy to industries in Tanzania, a project which is being implemented by Pan-Africa Energy Tanzania. However, Engineer Musomba explained that the exercise of supplying gas to the industries is now undertaken by TPDC, stating that Dangote Tanzania becomes the second factory to be supplied by the national oil company after tiles making factory, Goodwill (Tanzania) Ceramic Limited in Mkuranga, Coast Region. The country has recently been grappling with shortage of cement which pushed the price from between 11,000/- and 13,000/- for a 50-kilogramme bag to between 20,000/- and 24,000/- in some areas. Last year, the Minister for Industry, Trade and Investment, Mr Charles Mwijage, was quoted as stating that the 11 cement making factories were expected to increase production from 10.8 million to 20 million tonnes per annum. 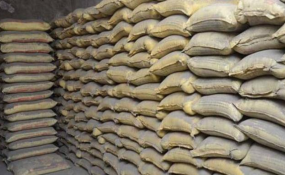 While the demand for cement is estimated at 4.7 million tonnes per annum in Tanzania, the minister said the surplus is meant for exports to other countries in the region and beyond.